HEY CHICAGO, ARE YOU READY FOR INVISALIGN? It’s time to set your smile straight! 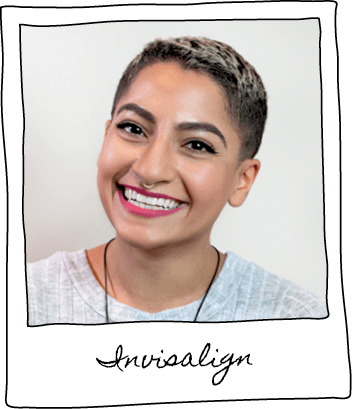 Invisalign is a revolutionary system that inconspicuously straightens misaligned teeth with a series of clear, plastic trays that are designed specifically for you. When worn in the proper sequence, they shift your teeth into the correct position. 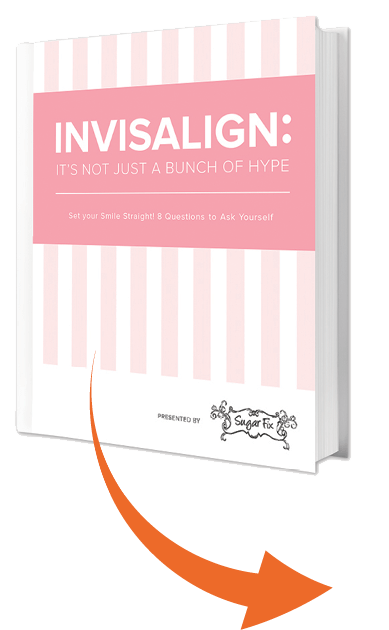 Download our free eBook to see if Invisalign is right for you. The 8 most important questions to ask yourself before committing to Invisalign. The surprising benefits of Invisalign - like eating and drinking whatever you want! Isn’t it time that you loved your smile? 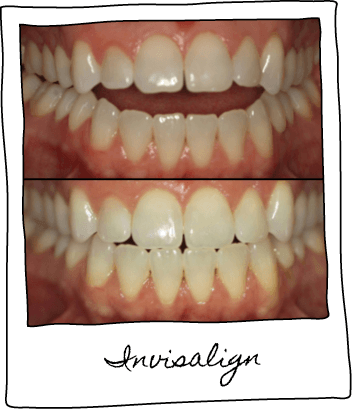 Invisalign is a revolutionary system that inconspicuously straightens misaligned teeth or an incorrect bite. A series of clear, plastic trays are designed specifically for your smile; when worn in the proper sequence, they shift the teeth into the correct position. The aligners are comfortable to wear and removable for easy eating, brushing, and flossing. Invisalign® trays should regularly be worn; however, they are virtually unnoticeable to others. If you want to achieve a perfectly aligned smile without traditional metal braces, Invisalign® is an exceptional alternative. Invisalign aligners gently move your teeth over time to achieve a straight smile. This movement can cause slight discomfort, primarily when moving from one aligner to the next. For most patients, this discomfort is short lived and can easily be managed with over-the-counter pain medication. Actually, Invisalign generally costs about the same as traditional braces. Of course, every case is unique, so we’ll be happy to provide a complete cost comparison when you come in for your consultation. 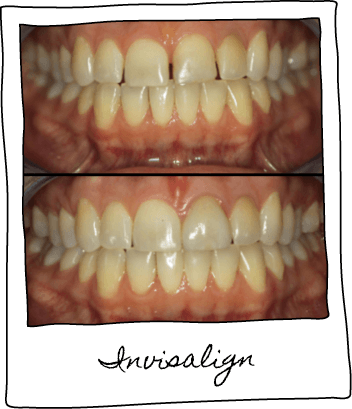 Click to see Dr. Emery's actual Invisalign cases. These patients love their smiles because of Invisalign - and you can too! Download your complimentary offer to learn how Invisalign dentistry can help you!